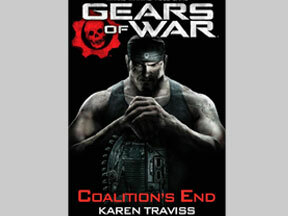 Gears of War: Coalition’s End shows how the Coalition of Ordered Governments depicted in the games dissolve. This happens despite, or maybe because of, the best intensions of its chairman, Richard Prescott, his fellow civilians and the soldiers he commands. Karen Traviss, the author, does a good job of presenting the soldiers; this could be because she herself was not just a defense correspondent before becoming a novelist, but she also served in the UK’s Royal Navy Auxiliary and its Territorial Army. There are too many characters in the book to write about in this review, but a few should be mentioned. Augustus Cole, a familiar character to the Gears franchise, does not disappoint. He comes across as a regular trooper who used to be a sports star, just like in the games. He has translated his athleticism and teamwork into a winning combination for the cause. Colonel Victor Hoffman is also well portrayed. His anger at having to be a part of an order that killed his wife, along with other innocents, (so as to save a greater proportion of mankind) causes friction between himself and Prescott. Hoffman is granted some small solace in his chance at romance with fellow soldier Bernadette "Bernie" Mataki. Commander Miran Trescu, a soldier who fought against the COG and then joined it, is another character that dislikes Prescott. He isn’t even a great friend of Victor Hoffman but joins him in a partnership against Prescott, in a classic case of the enemy of my enemy is my friend. Trescu has a troubled history. His dying father made him promise to fight the COG but he goes against this promise when his own people face extinction, so he must join the COG against an alien enemy. Finally there is Prescott himself. His secretive and manipulative nature is balanced by a single-minded devotion to saving the human race against the threats of locusts, lambents and the stalks. Prescott is no Churchill. He is Machiavellian in action and poker faced in manner. He presents a continuing mystery throughout the book and adds one more before its end. 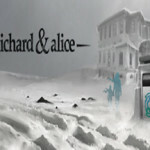 The author states on her website, "I love writing games, and I believe games are the future of fiction." 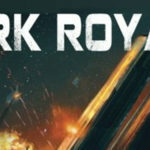 That she writes novels with a game’s background and ended up the lead writer on Gears 3 makes this worth a read if you’re a true Gears of War fan. 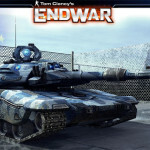 The novel invests the characters with more history and gives them an inner life that is often lacking in war games. Bernie’s back-story of being a farm girl who joins the army but never loses her common touch is one such small detail. 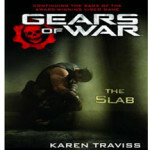 If you’re a Gears of War fan who wants insight into what happens before Gears of War 3, this is your book.